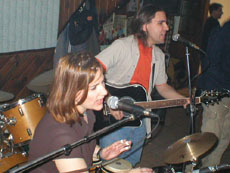 Far Cry Fly was an Energetic Acoustic Rock band from Connecticut from 1998 to 2005 that consisted primarily of Lori Brackett and Jeffry Houser. We released two major CDs during our time as a band, and broke up while recording the third. We are no longer an active band, but you can use this page to access our music. If people ask us for it, we may load some of our old unreleased recordings up to Archive.org. Copyright 2004-2010. Far Cry Fly Energetic Acoustic Rock from Connecticut. Drop us a line and let us know what you think.